This is installment 6 of my Big Library Reading diary, covering chapters 35-38. At Book Expo America today, Overdrive president Steve Potash announced that Four Corners of the Sky had been downloaded by 37,000 library patrons, more than 50 Shades of Gray or Gone Girl. Sales of Michael Malone's other books had gone up by 500%. And these 4 chapters were quite long. There's starting to be a bit of conversation on Twitter about the book. At another session at Digital Book 2013 Josh Schanker of BookBub presented data showing that it takes about two weeks for a book price promotion to have an effect on buzz or sales. Four Corners is a pretty long book, so it's likely that any effect of offering it in librararies is just now starting. One thing I saw on Twitter was a report that the Wizard of Oz was Malone's "inspiration" for Four Corners. The allusions are pretty thick, so now I need to list them so I can start enjoying the book again. Annie lives with aunt and uncle; her parents are missing. So there are some obvious allusions. It's not like the original Tron, which is almost a remake of Oz. So unless Annie goes off to Cuba to kill a wicked witch, I don't think Oz is much help in understanding Four Corners. Like the many movie allusions, it's embroidery, peripheral to the narrative. Not that there's anything wrong with that. This is my fifth diary entry for Big Library Read. I'm at IDPF Digital Book 2013 today, and Book Expo America the rest of the week, so we'll see if I can keep up. We finally meet Jack, and all I can think of is Clint Eastwood. The explanation of the birth certificate and Claudette Colbert is rather charming, but don't you think Jack would have worked a scam on her, too? At this point in the book, I know a lot about Annie, but I don't feel I know her at all. We see through Annie's eyes, and she's a keen observer, but she never focuses on herself. We don't hear her voice much, and she hasnt done anything that says who she is other thanfly into atornado. The central question of this book, it seems to me, is "will Annie be seduced into Jack's big scam? Will the reader be seduced as well? This is installment 4 of my Big Library Reading diary, covering chapters 15-28. If you want to follow along, you only have until Saturday, June 1, to check the book out from any of 7,500 participating libraries, but you'll still have two weeks to read it. The Memorial Day holiday, combined with my reading momentum and some exciting passages got me all the way to the end of part 1. The 2 codes are now half solved, and it turns out I was right about the tail numbers, sort of. A good mystery allows the reader to figure some thing out, after all. But this whole code thing makes less sense now. Who makes a password out of tail numbers and then writes half of it inside a baseball cap? We've learned from Raffie that Jack has a prodigious memory for Shakespeare even if he can't remember his daughter's birthdate. So why would he pick a password that he couldn't remember? Now that the courier's box has been retrieved from the King, it seems we can just abandon her in St. Louis, which seems a bit callous. This birth certificate has been bothering me. How, exactly do you get a fake mother's name onto a birth certificate? Even in Key West, a woman can't just waltz into a hospital with an assumed name and drop a baby. So the birth certificate could be a complete forgery. But why bother with it at all? If we assume that it's not a fake, then Annie's mother had some reason to not even have a child. If she had died in childbirth, there would be no reason for the pseudonym. Brad is seeming less scary, more goofy and more of a plot device. How else would we get characters to St. Louis and Miami? Do pilots of private jets wear helmets? I really sympathize with Annie when she says that everyone in her life seems to be talking with everyone else on the phone except her. The reader is similarly cut out of Annie's hyperconnected world. Storytelling will have to adjust somehow. With ebooks, it's not impossible to have a character phone you when you get to a certain page. Or at least send you some texts. That's what I would call immersive storytelling! There are a lot of close friendships in this book. I was glad to learn the backstory of Clark and Sam. Friendships don't sell books though; I fully expect passion to break out in Part 2. I'm a bit annoyed at the formatting errors I see in this ebook- random paragraphs aligned center instead of left, inappropriate line breaks. These are conversion artifacts that a publisher would be horrified to see in print, but somehow it's not a disaster in an ebook. It's possible that the errors are introduced by Overdrive but more likely they can be traced back into the publisher's production process. This is installment 3 of my Big Library Reading diary, covering chapters 10-14. Putting tape on windows does NOT do any good if in a storm, OK? These 5 chapters were a bit of a slog for me. I realized that I consistently have trouble with time shifting. The cognitive load of keeping multiple timelines straight distracts me from enjoying the narrative. And it makes me think: "They're STILL eating sushi?" Chapter 10 Brad is calling from Charleston: "the present":. Chapter 10 Annie's career at the Naval Academy: 5 years ago? Chapter 10-11 Annie's wedding: 3 years ago? Chapter 11 in Emerald: a few months after the wedding. Chapter 11 Annie leaves Brad: a year later? Chapter 11 Annie's neighbor Trevor: a few more months later, maybe one year ago? Chapter 11 Brad's calling again: the present. Chapter 12 On the phone with Georgette: sometime later. Chapter 12 Emerald: a bleak March weekend. I need the Sam-Brad relationship explained. Chapter 12-13-14 after a review of Annapolis, we're back to the present. Chapter 14 flashbacks to Annie's 3rd, 5th and 7th birthdays. Maybe it was the twister. We get a few answers, but Malone lays out a whole bunch more questions. In Chapter 7 we find out that Annie was NOT talking on her cell phone while driving 95, she was stopped at the side of the road. Well thanks, thats sets back some character development right there. You'd think the Porsche would come with a Bluetooth package. Meanwhile, the pink cap and the aviator jacket turn out to have codes in them. The baseball cap has a code written in it: 362484070N, and the jacket has another code in it: 678STNX211. I did not expect a girl-and-her-plane book to go all Neal Stephenson on me and get all into cryptographic keys. If that's what they are. Google is not our friend when it comes to these codes- don't bother trying. Swiss bank account numbers? Airplane tail numbers? Coordinates for a ship's wreckage? Robert Langden's phone number? Also there's something that Jack wants in the plane. The rubies and emeralds in the attic seem a bit far-fetched. Although when my cousin cleaned out my uncle's house after he passed away, he would routinely fine gold coins interlaced with the trash and junk, so I guess people are like that. Speaking of dusty attics, the women around Jack seem to function as his memory- Annie has a photographic memory, and Sam saves everything like they're holy relics. This obviously means something deep. Yay librarians. More clouds. Egyptian clouds from The Ten Commandments. And the threat of a twister, making me think of the devastation in Moore. A secret uncle named Jack who died at two. And I bet almost-ex Brad is going to show up like evil Jack in The Shining. There are so many veggies in this soup, if Malone can keep this from going mushy, he's a great chef. In any case, it's getting quite interesting. Here it is, my first Big Library Reading diary post. The first two pages of a novel are always hard for me. Sometimes I have to read every sentence twice. I don't know what the book is about. I have trouble keeping all the names straight. I react to images and get distracted from the book because my mind hasn't entered the book's full world yet. Four Corners of the Sky was no exception. Maybe I was supposed to read the blurbs and the reviews first. So, through the Prologue and four chapters, Malone has laid his puzzle pieces out on the table, and he's succeeded in getting me interested in how they're going to be put together. At this point , the names seem kind of hokey. Annie Peregrine Goode, really? Emerald? D. K. Destin? But you have to grant the author some leeway to start; he'd better layer some meaning onto that primer coat by the end of the book. Some of the pieces are like the four corners of the puzzle, easy to spot by an experienced puzzle solver. The "four corners" image, for example. It's even on the first page of the prologue. Again, it strikes me as a bit unsubtle, but OK. I rather like being on the lookout for quartets. "Jack? Jack! Jack! Jack!" Another corner piece is the "King of the Sky" - "Queen of the Sea" couplet. Should be interesting to see how Malone connects the modernish magic of the airplane with the exotic magic of an Incan totem. This is totally stream-of-consciousness, but I just saw Star Trek Into Darkness last night and something about this reminded me of the Kirk-Spock-Khan timeline reshuffling. But what's with the pink baseball cap? I like reading about speed-obsessed impatient Annie, though I'm kind of groaning at the daddy issues. One thing really bothered me. She's driving her Porsche Carrera at 95 MPH over country roads while talking on her cell phone with probably-going-to-be-love-interest Vice Sgt. Dan Hart. (give-away name/title!). Doesn't she know how DANGEROUS that is???? Please no spoilers in the comments, ok? Although the first Big Library Read (BLR) started on May 15th, it wasn't until yesterday that I got Four Corners of the Sky onto my iPad. Four Corners is the book that Overdrive is making available for free in librararies around the world- at last count 7500 of them! My local library Montclair Public, is part of a regional consortium, BCCLS, that decided not to participate in the Big Library Read in its first incarnation. There wasn't enough advance notice for BCCLS to participate in such an initiative and do it well. "BCCLS doesn't enter into such endeavors half-heartedly and felt that a two week window wouldn't allow us the time and effort a project like this deserves" BCCLS Library Services Director Arlene Sahraie told me. I hear similar things from other libraries. 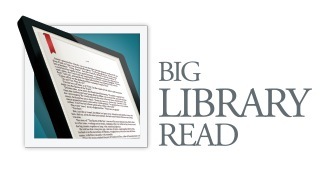 The rapid roll-out of Big Library Read shows up in other areas. I haven't seen a single mention of the program in the mainstream media; it's an initiative with historic implications, in my view. On the other hand, when the program's impact is studied, there won't be the confounding effect of non-library promotion. We'll soon see if that's a one-time bump or the short end of a hockey stick. I looked into other libraries where I would be entitled to library privileges. In New York City, where I have business, NYPL isn't participating, which might account for the lack of MSM interest. I applied for a card from Queens Public Library, one of the most innovative public libraries anywhere, which is participating in BLR, but I would have to show up in person to get the card approved. So I went to another New Jersey library which approved me for a card. They're a member of a different consortium, eLibraryNJ, that's participating, so I'm finally set to start reading. I'm interested to see if online conversations develop differently if an ebook is available to large numbers of people. So I've going to keep an online reading diary on this blog. There are 55 chapters of 4 corners, and I have a 2 week checkout period to work my way through it, so that's 4 chapters a day. We'll see how I do. It's good that I have the full 2 weeks even thought the program ends next Saturday. With BEA and IDPF on my plate, I won't have that much time. I'm also going to collect here all the online conversations centered around this BLR that I can find, especially blog posts. So far, I haven't seen anything develop. So feel free add yours via the comments! 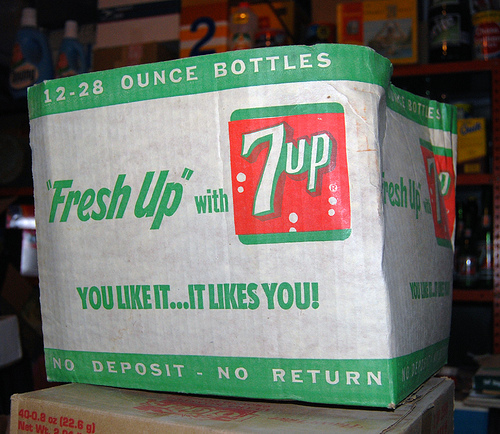 When I was a kid, glass bottles were sold with deposits- a few pennies each. As a six year old I would help my dad collect our bottles and put them in the huge trunk of our car. I got to keep the change that the grocery store gave us in return for the "borrowed" bottles. This racket was foiled by new technology: the bottle companies figured out how to make bottles so cheap that returning them didn't make sense any more. Library books, in a funny way, are like deposit soda bottles. We borrow the bound paper objects and consume the stories and knowledge they contain at home. Then we return the book to the library so someone else can drink deeply at the same fountain. The technology is changing, and the books have become ebooks. So why do these library ebooks, which cost nothing to duplicate, need to be "returned"? It's only the license that gets returned; the bits themselves just get deactivated (via some form of digital rights management, DRM). The reason for the return is market segmentation. Publishers want to make their books available in libraries, but not in such a way that the library book substitutes for a consumer book purchase. buying the book is more convenient. if you buy the book, you get to keep it. Whether you get the book from the library or buy it from a bookstore, you get to read the same book. Library ebooks have so far tried to create both of these distinguishing factors. If someone else has an ebook on loan, you can't read it. Just try borrowing a popular ebook from your public library. Chances are you'll have to wait in a long queue before it's your turn. There are also usability barriers caused by the library's DRM that add "friction" to the lending process. When the lending period expires, the ebook vanishes from your ebook reader. That's more convenient than with print, because you don't have to go back to the library to return the book. If you think a bit more deeply about the ebook, you'll realize that purchased-book attribute #1, ease of acquisition, is a completely separate thing from attribute #2, getting to keep it. Imagine two new types of library books: one that's super-easy to acquire, but it vanishes after two weeks. With a second type, you have to wait your turn to get the ebook, but you get to keep it. This past week, we witnessed the world's first example of an easy-to-get-but-vanishing library ebook. It's titled The Four Corners of the Sky and it's the ebook being offered in over 4,500 public libraries around the world through Overdrive, the dominant vendor of ebooks for public libraries. On June 1, or thereabouts, all these magic copies will vanish. The other type, the one-user-at-a-time-but-you-get-to-keep-it library ebook, has actually been around for a while, in a very below-the-radar way. I think it's time to turn on the klieg lights. Because unlike the vanishing ebook, the get-to-keep-it ebook doesn't depend on DRM for its reality. Publishers such as Carina Press have been allowing Overdrive to sell their ebooks to libraries without DRM. When lent, these books don't get returned, and the DRM doesn't vanish them, but the library doesn't lend the book to another patron until the end of the lending period. So the borrower doesn't have to return the ebook, except on the honor system. When a library licenses a Carina Press title, what they get is a lending-rate-limited ebook, rather than a one-user-at-a-time book. It's my hypothesis that lending-rate-limits are responsible for the vast majority of library-ebook market segmentation today, and that the return requirement is relatively inconsequential. If that's true, we can eliminate DRM for library ebooks. In Italy, a company called Medialibrary has done exactly that. They work with about 40 Italian publishers and a network of 2,500 libraries. Libraries pay the standard market price of the ebook to get an "archival copy" (for ever). Then they pay a fee for each lending. The ebook downloaded by patrons has a digital watermark identifying the user and the library. 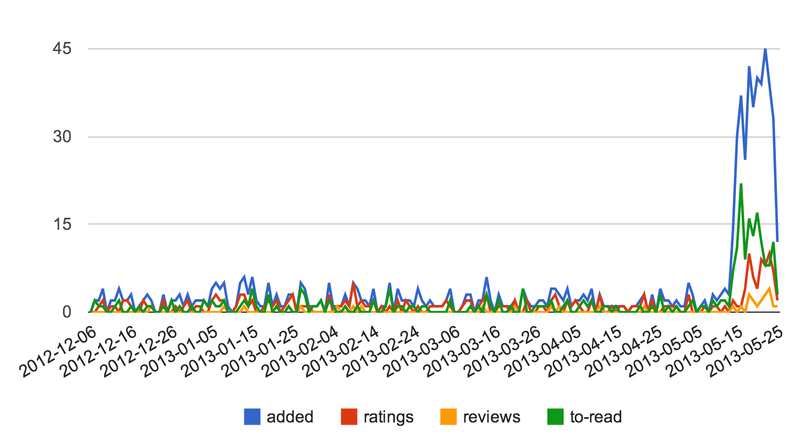 There's a limit of 60 downloads per copy, after which the library has to buy a new copy. And I'm not saying there's never value in "keeping" an ebook. A cookbook, for example, is not something you're done with after a week. Libraries aren't about these books, for the most part. So the conclusion still holds: libraries can eliminate usage restricting software from most of the ebooks they lend. The end of deposit bottles changed the workflow of households, retailers and the beverage industry, and created other changes, good and bad, that required a lengthy period of adjustment. Today, thanks to a more efficient and convenient delivery system, we spend more money on bottled liquids than ever. I think it’s worth working on better ways to distribute the stuff inside books as efficiently as possible. And I think libraries can help make it happen. With no-return ebooks lending. When is a reader most receptive to reading suggestions? Right when they’ve finished a book of course! That’s why printed books have information about other books by the same author, the first chapter of the next book in the series and similar material at the end as part of the back matter. Back matter has existed pretty much as long as books have. This includes the appendix, glossary, index, and bibliography. Back matter for digital books needs to be optimized to serve the needs of the digital reader. An informal survey by @suw indicates the most popular endmatter desires were other books by the same author and some information about the author. Digital back matter for ebooks is not constrained by having to proceed the publication; unlike print, digital back matter can be kept up to date with the release of new content. For instance, if an author publishes a sequel, that title could be included in previously published ebooks. For this demo, we tested three reading EPUB environments, Readium, Readmill, and iBooks. We modified the Project Gutenberg EPUB version of Pride and Prejudice to include hooks and data to other books by Jane Austen. Offline reading in Readium displays the resource embedded in the EPUB, similar to the iBooks version. There were 30 projects in total presented at the end. Here's the list, along with my one sentence summary. Concept for browsing books as nodes on a graph. This was us! Our demo crashed and burned. The popup screens from the wifi messed up the ebook reader display of embedded dynamic content. Website that recommends books by connecting them to cities. Website that helps you lend the books you've borrowed from the library. App that advertises the ebook you're reading to the people around you. Website that multi-factor-matches you to books. Website that aggregates book recommendations from your twitter followers. Website that displays books as if they were on a bookshelf. I'm pretty sure there was more to it. Website that recommends books to users based on books they've liked. App and Website that uses machine learning algorithms and your tweet about last night's party to combat the short attention span of Today's Readers. I may not have understood this one. Website that believes in judging books by their cover. Evoke Finalist and clear judging favorite! Pinteresty website that recommends books based on emotions categorization. App that recommends books based on tags you click. Brain-sensing rabbit ears that wiggle depending on your response to a book from a website. Website that lets users rate romance novels for steaminess. Browser plugin that analyses what you read to better sell you books. Mobile app that sends you geographically appropriate quotes depending on where you are. My favorite. 3D printed QR-ish code baubles. Cooler than it sounds. Website that turns reading into a game where you earn points. Website that recommends books connected to the movie you just saw. Analysis of NYPL metadata advocating a divorce of the library from its classification system. Website offering crowd-funded serial fiction (ebooks). Website that recommends books based on a user's video viewing. Website to match kids to books. Website that recommends books based on tags you click. App that promotes literacy to a girl named Valerie by making sliding block puzzles and defining words at her. Website that uses library data to make graphical book circles. Website that turns ex-bookstore owners into book curation engines. Interestingly, only 3 of the 30 projects addressed ebooks at all, which seems a bit odd to me, considering the industry's ongoing transition from print to digital. The emphasis on apps (7) and websites (21) is partly due to Hackathon's theme of book discovery, but it also says something about the tech industry. 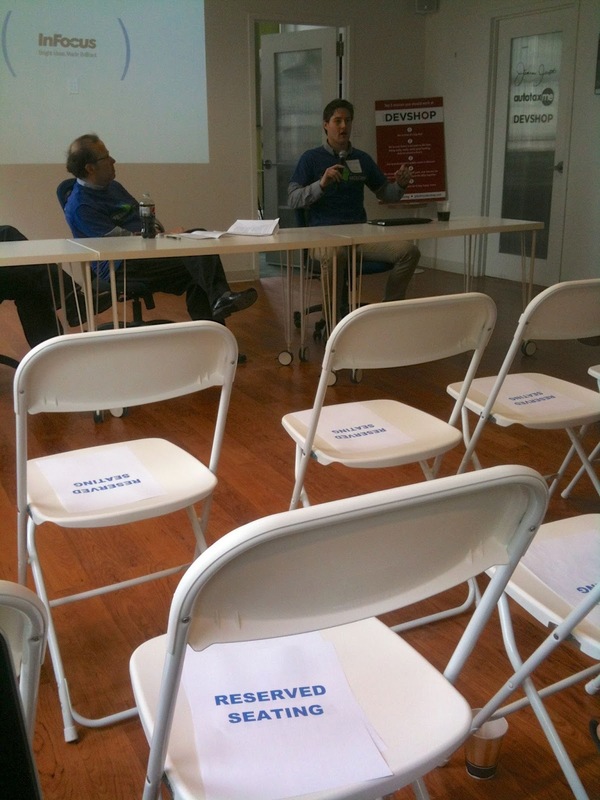 Apps and websites are what the NY tech industry is doing in 2013, not ebooks. Clearly, the publishing community developing ebooks and ebook standards needs to do more outreach to developers; the hackathon was a good first step. It's also worth noting the growing importance of geo-tagging and other non-traditional metadata. In the new world of publishing discovery, readers want books that fit their mode right where they want to be. Neither MARC nor ONIX know enough to help. My library friends should rest assured that the hackers did not at all ignore libraries. Although $1000 prize from NYPL was a factor, the ease of connecting to NYPL and OpenLibrary helped a lot. The RDA prize, it should be noted, went unclaimed. Update: Sorry, Coverlist, I omitted your finalist status. Corrected! Book discovery needs innovation. It’s never been easier to get a book into a reader’s hands—just one click. But, with over 10,000 books published each year on every topic imaginable, how do people find out about them? There are fewer bookstores to help readers discover exciting new authors and ideas. There’s currently no digital experience that replicates the serendipity of browsing bookshelves. Recommendation engines are fairly primitive – they know what you bought, but they don’t know why. It’s a disruptive opportunity that hasn’t been explored. Seriously, the sponsors of this event don't think book discovery has been explored? 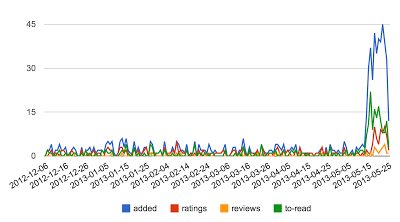 I guess they were too busy suing Mr. Google to notice that Google Books is a pretty good discovery tool. I suppose they never thought to ask Mr. Wikipedia how many books are published every year. All in all, I find the description of this hackathon INSULTING to just about every developer that's worked in the general vicinity of the book industry. Umm. Mr. Steinberger. If you and Perseus really want to promote discovery innovation, then perhaps you have heard of Goodreads? They're driving some decent discovery of books. Maybe it doesn't count if Mr. Amazon is buying them. Perhaps you've heard of Amazon? They popularized the "If you liked this, maybe you'll like..." feature that everyone in the publishing industry tries to copy. If you don't like Goodreads, maybe I can introduce you to LibraryThing, which has been driving valuable book discovery in more ways than I can list here. I know that "library" in their name is a big turnoff for your big 6 colleagues, but libraries are huge book discovery machines. I don't suppose you want them to disrupt anything. And umm DP.LA???? People mostly discover books by word of mouth. Some innovators promoting social reading include Readmill (who had their own publishing hackathon) and (giving props to the NYC home team) ReadSocial and the stuff Bob Stein has been exploring. And Kobo, Copia and Zola are doing some amazing things to integrate book discovery with ebook selling and reading environments. I've written previously about Jellybooks' fresh approach to discovery. And some more on libraries. When I was at OCLC, we worked on real simple problems like "how do you discover the other editions of the same book?" and we found that publishers had NO CLUE what they'd published 5 years previous. So yeah, we did our bit. 3,000 Libraries to Power "Big Library Read"
"We want to show publishers how a book can sail around the world on the shoulders of librarians" says Overdrive CEO Steve Potash. 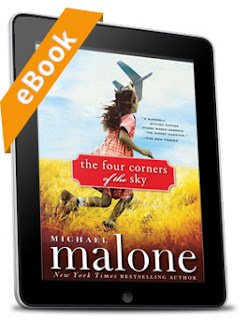 The circumnavigating book in the inaugural edition of Overdrive's "Big Library Read" program will be Michael Malone’s The Four Corners of the Sky published by Sourcebooks. Overdrive customer libraries must sign up for the program by this Friday, May 10, but 3,000 have done so already, according to Potash. Beginning next Wednesday, May 15, and continuing through June 1 the book will be free to patrons of participating libraries, with no limit to the number of simultaneous users. After June 1, the book will be available to libraries for conventional acquisition and one-user-at-a-time e-lending. It's hard to underestimate the impact this program might have. For the first time, large numbers of libraries will simultaneously introduce one book to their communities. Books are conversations, and the idea of a national conversation sparked by libraries is really exciting. (actually it's the whole world- B.L.R. is available worldwide) If the book is as good as it's supposed to be, it might race up the best-seller lists even before the Big Read is done. Or maybe the huge but brief availability will satisfy reader demand for all time, and Sourcebooks will never sell another copy ever. I'm guessing it will be the former, but I can't say for sure. We'll all know the answers once the program ends, because Overdrive and Sourcebooks will be sharing sales and lending data from the program. Dominique Raccah, CEO of Sourcebooks, is well known in the book publishing industry for advocating data-driven decisions in what has traditionally been a business fueled by lore, rumor and hearsay. The Big-6 hesitance to offer ebooks to public libraries will be revealed to be either prudent or foolhardy. Should be fun! In February, I wrote about plans for a similar program that originated in the American Library Association's Digital Content Working Group. As a member of that group, I talked to the various library ebook vendors to see if they could support such a program. Most of the people I talked to thought it was a great idea, but saw road blocks in the implementation. One vendor's system couldn't handle prices below $5 per copy. Another vendor only updated their offerings every six months. Overdrive was different. When I told Steve Potash of the effort, he immediately said they could do it. I've since found out that Overdrive was already doing similar programs on a small scale by private arrangement. Potash has told me that the ALA initiative inspired them to make their program bigger and to make the data public. I'm tickled to have had even a bit part in this. But really, the credit should go to Overdrive, Sourcebooks, and Micheal Malone. They are using the unique attributes of digital books to do something that CAN'T be done with print books. An infinite supply of Four Corners of the Sky will be created for a short time, and later the copies will vanish. It's the library equivalent of a nationwide flashmob. And it's never been done before. If Big Library Read is a big success, and I hope it will be, it's quite possible that an ALA version of the program can build on that success. It would be great, for example, if all libraries, not just Overdrive customers, could participate in Big Library Reads. The selection process needs to be more open and sustainable, and it needs to draw all sorts of publishers into libraries. But let's focus on the present. If you work in an Overdrive-customer library, this is your big chance to experiment with ebooks and build new forms of community engagement. If you're a library patron with access to the book, please join me in reading it, tweet it, facebook it, and get your friends involved. Let's find out together how library ebooks can become a mass media. With your help, we can out-Oprah Oprah! P.S. this needs a hashtag. People are using #BigLibraryRead. ...in most of the world! If you are in the US, then tough luck, the rights belong to the CBS Corporation, and you'll have to pay Amazon $7.80 $4.99 to get it legally on your Kindle . If you are sober enough to know which country's laws you're subject to (not that sobriety is a guarantee of jurisdiction-awareness) then you probably still don't know whether it's legal to download The Great Gatsby from Project Gutenberg Australia or the University of Adelaide. It's too bad that SOPA didn't pass because then all the US-illegal links to The Great Gatsby would be censored by law, and you would automatically have infringing links removed or not as the case may require. I'm subject to US copyright law. I'm subject to the copyright law of Australia, Canada, or some other pirate jurisdiction. I have no clue what copyright law I'm subject to. You've just been spared jail time and statutory damages up to $150,000 per download of the infringing files from Project Gutenberg Australia or the Univesity of Adelaide. Because The Great Gatsby is not part of the public domain in the US. Consider yourself lucky. And what ever you do, don't click on this link, which probably would be a violation of the anti-circumvention provisions of the Digital Millenium Copyright Act. SO DON"T DO IT! G'day, eh! Remember, if you're in the US, an maybe in other jurisdictions that I'm sure people will comment on but I'm too lazy to look up, you should NOT be reading this so please stop NOW. The Great Gatsby is available in a number of formats for your reading pleasure. The HTML version from Project Gutenberg Australia is here. The plain text version is here. The University of Adelaide has an epub version for iBooks, Nook, Kobo, Readmill, and Bluefire as well as a MOBI version for your Kindle or Kindle App. Yeah, me neither. but it's best to be safe and consult your lawyer before clicking this link. Kevin Smith's explanation of US Copyright Law might also help. But you know, CBS won't notice one or two clicks. Even a hundred or so clicks and it's just some drunk displaced ex-pats. But if tens of millions of copyright-confused readers started clicking, the politicians and the plutocrats might notice a little something. The might even think it was a movement. The Aussie Gatsby Click on a Dodgy Link Movement. And all you got to do is click. If you want to end war and stuff, you gotta press that mouse button with feeling. Update (5/9/2013): Good discussion on Hacker News surfaced the answer via ernesth to my lazyweb query. The Great Gatsby is in the public domain in all countries but 7: the USA, Mexico, Guatemala, Honduras, Samoa, Saint Vincent and Grenadines, and Ivory Coast. All countries except the USA apply a law that states that books enter the public domain a given number of years after the death of the author. In Europe, it is 70 years, in Canada 50, in Mexico 100. See List of countries copyright length. It's not known if copyright exists in other parts of the galaxy.